I suspect I'd like any book that author Ken Druse published. His writing nudges gently, and it all makes wonderful sense. His words flow freely, his sentence shapes are delightfully crafted, and most of all he's talking to me. Me! My first meeting with Ken Druse came via a library book called 'The Collector's Garden'. I'm unashamedly a fan of variegated foliage, and often found myself on the back foot in discussions with other gardeners. To them this leafy aberration was unacceptable - apart from the stylish Wedding Cake Viburnum (thanks to an extremely successful PR campaign in English gardening magazines). 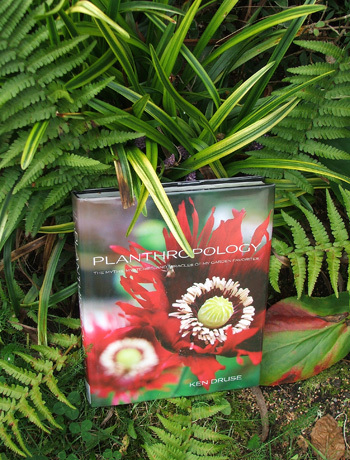 Ken Druse's book empowered me - he liked variegated plants, and included them in his 'collector's garden'. A nice, sensible, knowledgeable garden-man agreed with me. Me! But then, like a fair-weather fan, I forgot about him just a tiny bit. I tend to acquire garden themed books haphazardly, grabbing something from a library shelf or a Charity shop, rather than thoughtfully choosing or ordering them. So there was much excitement when a big Ken Druse book turned up, randomly, in my house the other month. 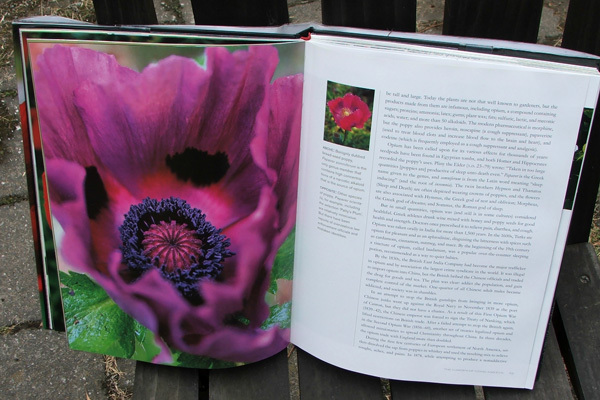 Planthropology: The Myths, Mysteries, and Miracles of My Garden Favorites is a great book, a great read, with great photographs. And just like in his other book the author talks to me. He informs me, pops in a tiny bit of background, lightly touches on the myths and lovingly presents the mysteries and miracles. Above all he tells me what he thinks and likes, humbly, without showing off. Some 'blokey' garden writers (oops) get carried away with their own sense of humour. Others can project as scary scientific, egotistical, or just downright rude. Ken Druse is none of the above - he's a good bloke, a wonderful, inspiring writer who leaves his readers so much richer. Well, me at least. And anyone prepared to have such a specific, long-winded title gets my vote for being true to themselves in this commercial catch-and-hook-'em age. So I guess this is more of an author-review rather than a book-review. You'll have to read the book for yourself! Check out Planthropology: The Myths, Mysteries, and Miracles of My Garden Favorites and see what you think.